The Uralic languages form a language family of around thirty languages spoken by about twenty million people. 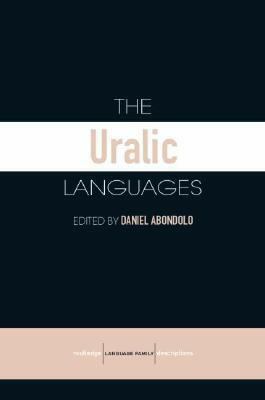 This book focuses on nineteen of the major Uralic languages from Estonian to Samoyedic and discusses their structure, history and development.Abondolo, Daniel is the author of 'Uralic Languages ', published 2006 under ISBN 9780415412643 and ISBN 0415412641. Loading marketplace prices 82 copies from $93.36 How does the rental process work?